This Mexican Bean Dip is always a hit at parties. It’s prefect with chips! You can even serve it as a salad or stuff it into a tortilla and call it tacos! However you serve it up, you are going to love it! I have been making this Mexican Bean Dip for years and, in honor of Cinco de Mayo coming up, I’d thought it would be a good time to post it here. It’s so full of flavor with all the beautiful beans and vegetables and then it’s marinated with a smoky cilantro lime dressing. 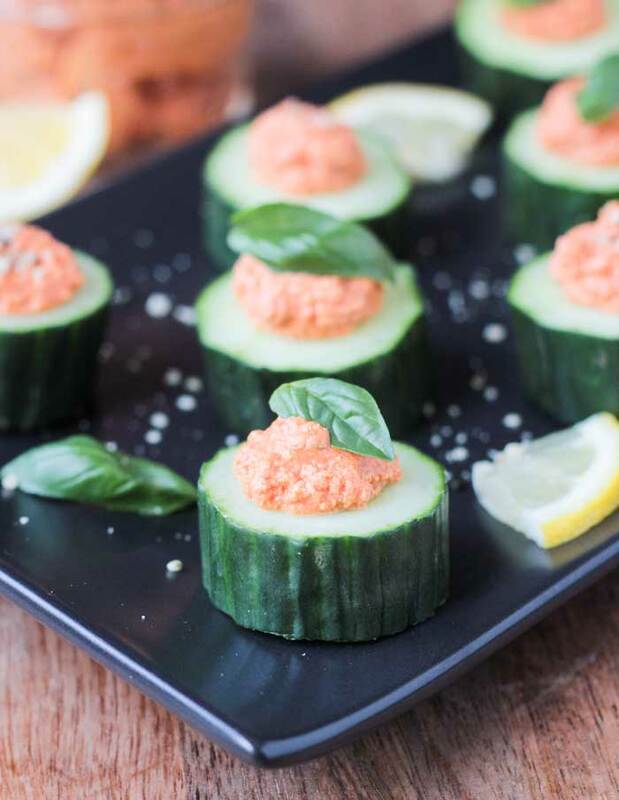 It makes a great appetizer at parties or a healthy snack when you feel the munchies coming on. Served up with some tortilla chips, it’s downright addictive! There are three different kinds of beans and six different vegetables/fruits in this hearty, healthy dip. You know what that means? Tons of protein, tons of fiber, tons of vitamins and minerals. This recipe makes a lot, meaning it’s a fabulous dish to bring to BBQs this summer (or any party for that matter). You know you don’t want to be the one bringing the veggie tray yet again! It could even be served as a side dish or salad, which I have done on numerous occasions. Just pile it up on some chopped romaine lettuce and mix. 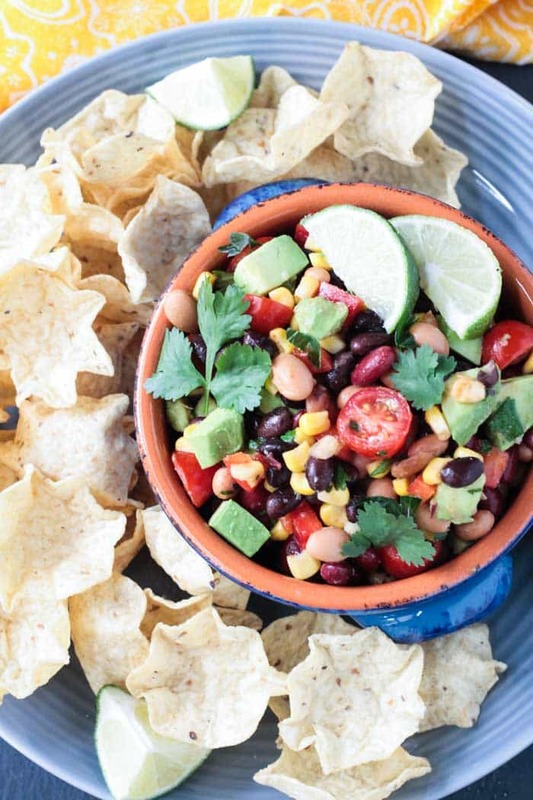 You don’t even need a dressing because the Mexican Bean Dip is packed with so much flavor. You know what else is awesome? When you call something “dip” it magically becomes kid-friendly. My kids devour this! They even eat it with a spoon sans the chips. There is a jalapeño in this dip, but mixed with everything else, it’s not spicy. However, if you are afraid it will be too much for your kiddos, you can leave it out. Give this Mexican Bean Dip a try and see if you think it’s as addictive as we do! Leave me a comment below with your feedback and star rating once you try it. You can also find me on social media, so snap those pics and tag me @veggie_inspired and #veggieinspired so I’m sure to see it. Enjoy! The perfect potluck dish for BBQs or parties. 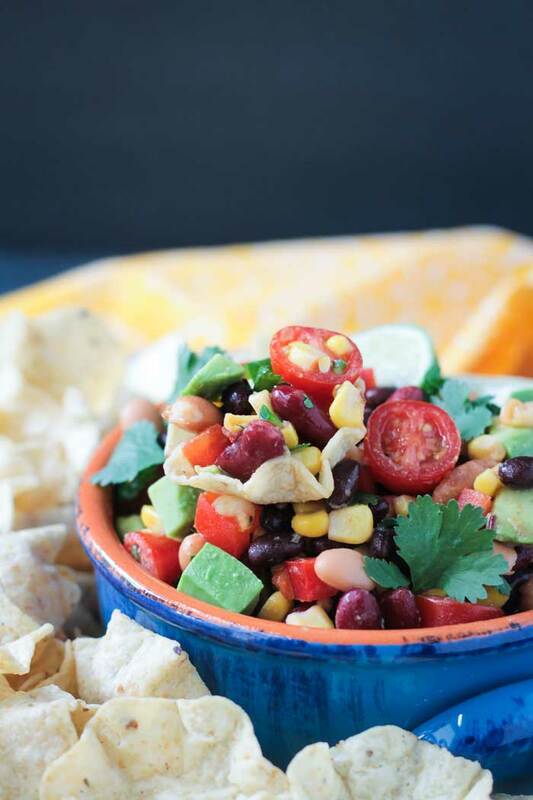 This Mexican Bean Dip is hearty and healthy and full of flavor. It's just as good as a salad as it is a dip with chips. 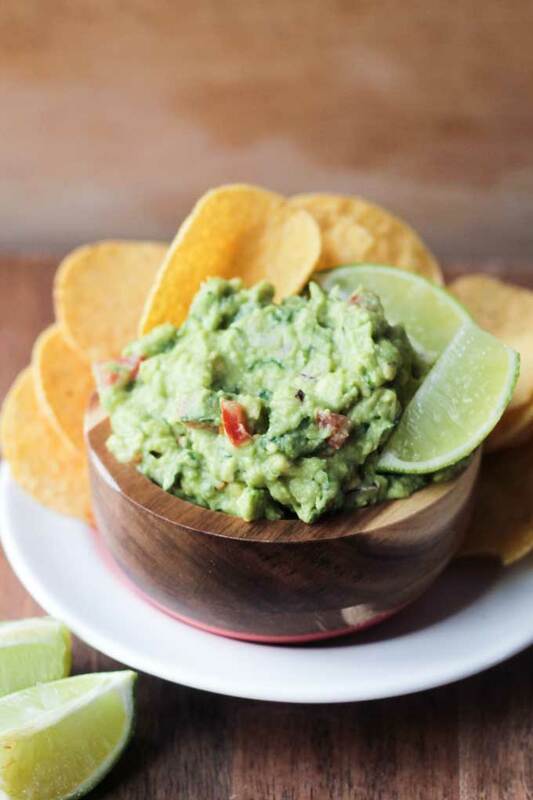 Place all ingredients, except for avocados, in a large bowl and toss to combine. Set the Bean Dip in the fridge to let the flavors meld for about 20-30 minutes. When ready to serve, add avocado and toss to combine. ~You could add the avocado in the beginning with the beans, pepper and tomatoes, but the avocado may lose some color. Since I like my avocado to be bright green, I add it at the very end. ~Note about the oil: I tend to leave the oil out if I'm serving it as a dip. If I'm making this into a salad mixed with lettuce, I usually add the oil. ~Nutrition facts calculated without the oil. *Photos and content updated 9/22/16. Original recipe remains. I love this recipe!! So tasty and simple to make!!! So happy you loved it! Thank you, Katie! Love this bean dip! Especially good with the scoop type tortilla chips. It was a fan favorite at our get-together! This reminds me of a Cowboy Caviar. Looks delicious and I just love all the flavors and colors Jenn. Yes, similar for sure! Thanks, Nicole! It’s pretty addictive. This looks amazing! I love all the colors! The flavors sound amazing! Making this for Game Day for sure! This looks so flavorful and delicious! Perfect for football parties! Totally! My husband is a football coach (high school) so it’s always a football party around here! 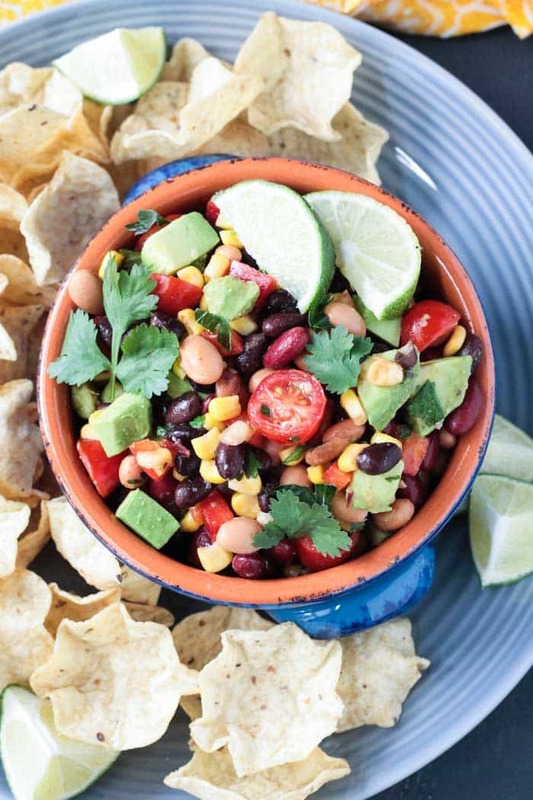 Loving all the flavors of this Mexican bean dip! This will be a great addition to the big game day menu! Love how much you can do with it for dinner options too! It’s truly a go to recipe to keep on hand! Yes, super versatile! Thanks, Lindsay! I love the ingredients and the combo of flavors! On my list for game day! Perfect for game day!! Thanks, Sarah! 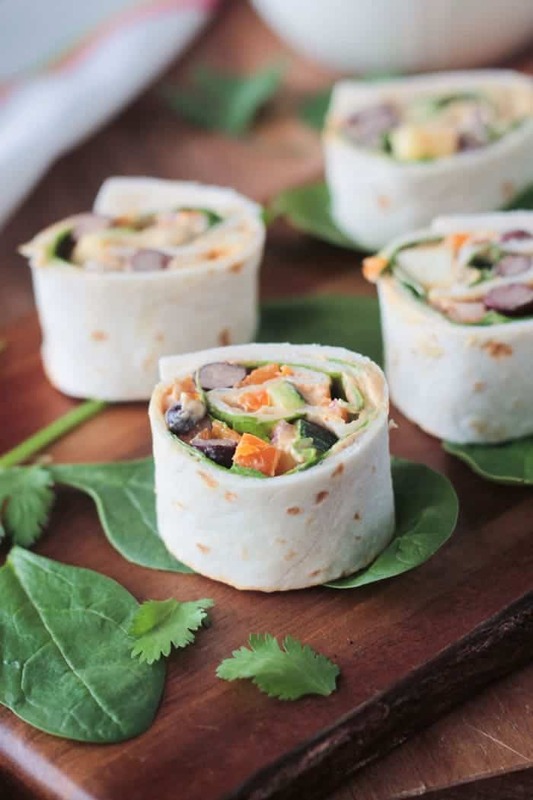 So many pretty colors, it’s hard to resist a healthy recipe like this! I love the smoky kick along with the lime – that sounds like a lovely pairing! Tacos would be great with this! Going to put it on tortilla chips tonight and bake, for Cinco de Mayo. This was yummy! It made a lot, so I will be eating it as a main dish in wraps and on a bed of baby kale. Thank you! Yes! It makes a ton, which is why it’s so great for parties! It would be great in a wrap or a filling for tacos. I’m so glad you liked it! I’m glad I’m not the only one, Linda! Mexican flavors are the best, right?! This looks SO GOOD girl! Mexican food is my favorite food and I love all the spices and flavors going on here. I really would eat that whole bowl at once, haha! 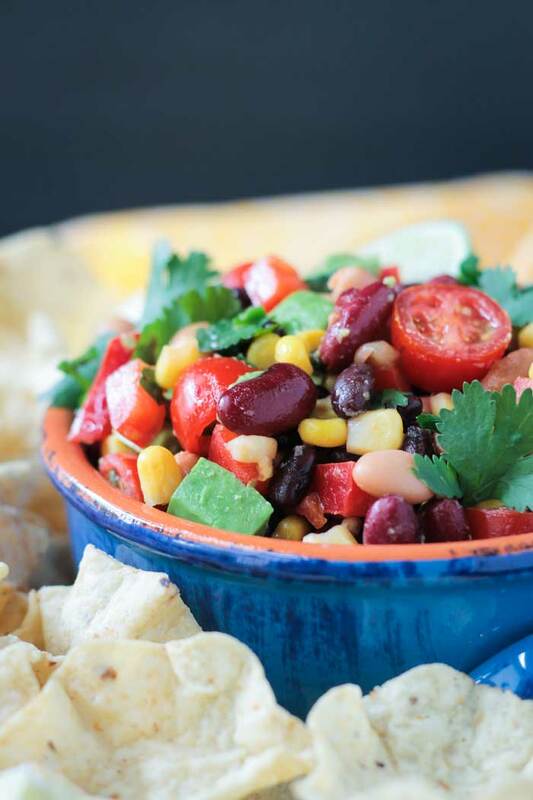 This looks like an amazing Cinco de Mayo healthy hodge podge of so many tasty things! And I guess I’m kind of like you kids, ‘dip’ make everything sound better to me too 😀 I could totally see myself just eating this with a spoon, and I love that it’s so healthy that that is ok!! LOL, Natalie! Thanks! Not a bad thing to be like a kid! Who doesn’t love to dip things?! It’s definitely ok to dig right in! This sounds so good!! I love all those flavors together. I can totally see it as a dinner in our family too. My kids would be all over it!